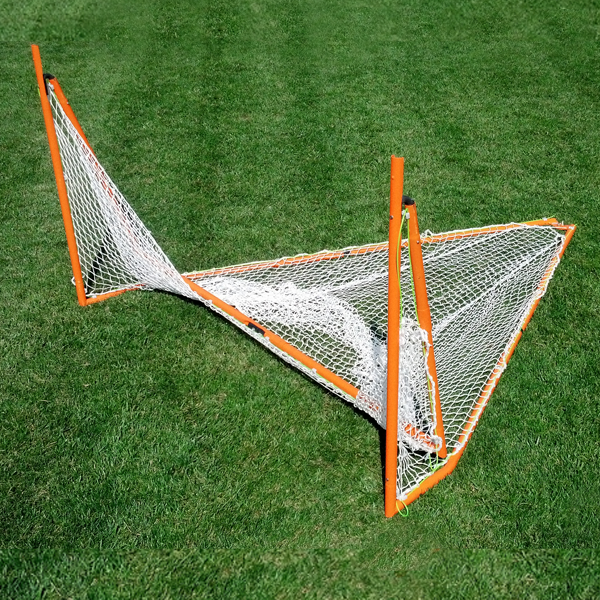 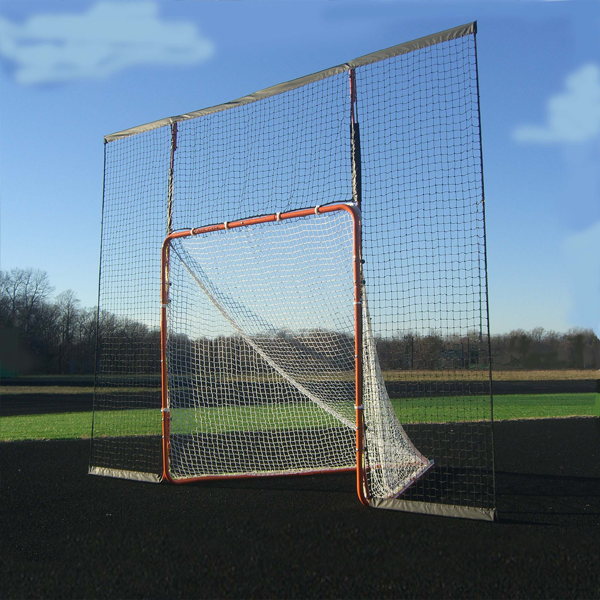 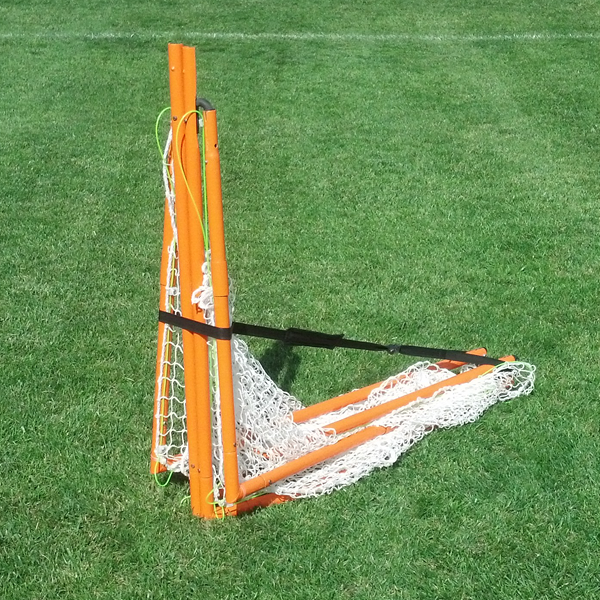 Full-size lacrosse goal with 2.5mm pre-strung net. 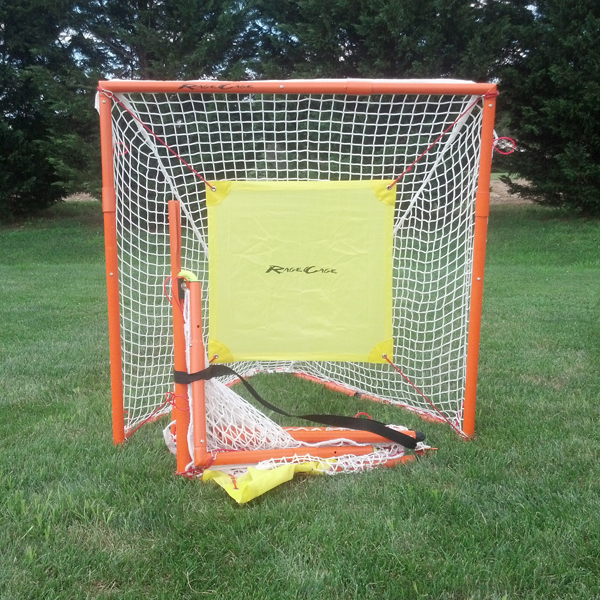 Rage Cage ShotBlocker included. 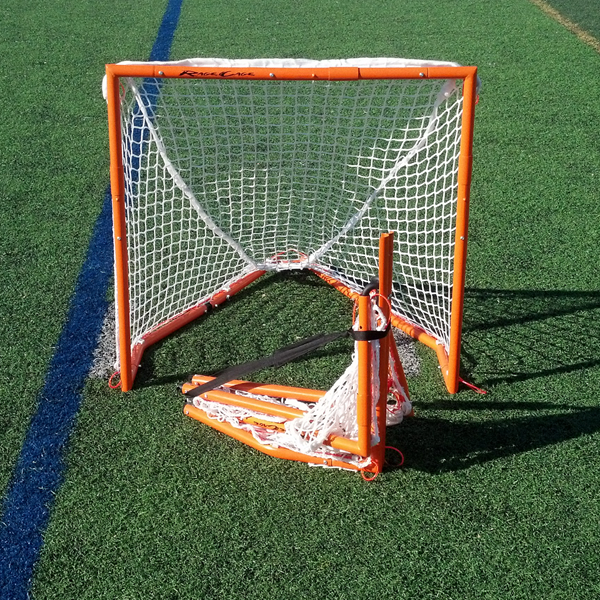 Its rigid 1.25”OD steel frame is powdercoated orange, folds in seconds and uses Rage Cage ultra durable net fastening system. 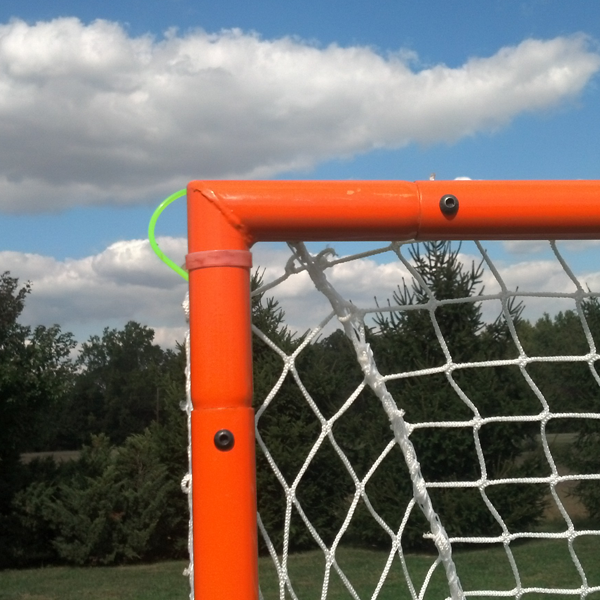 Square welded corners for enhanced frame strength. 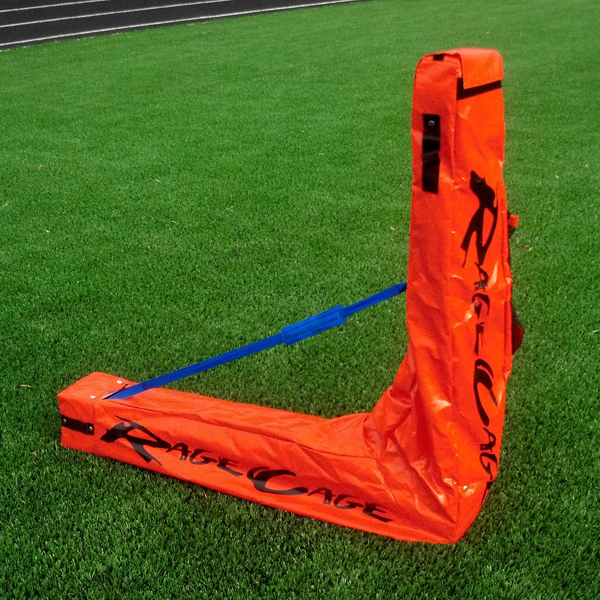 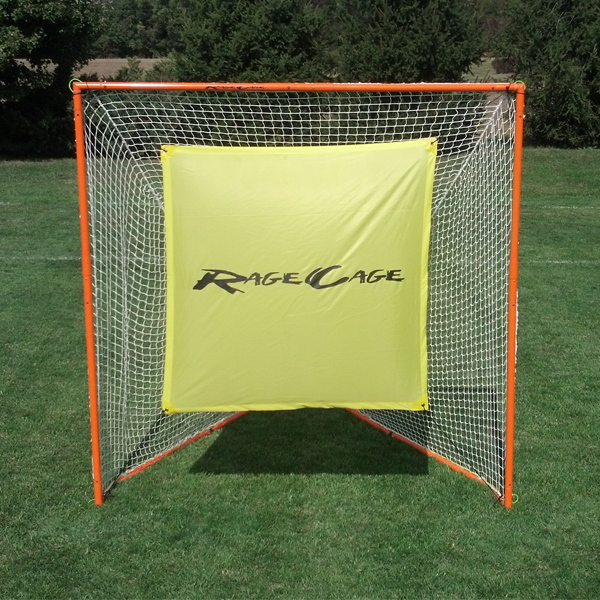 The Rage Cage Brave is our new entry level goal intended for U10 Boys and U13 girls.